Ballistic Flow Rider boards aka flow park boards. 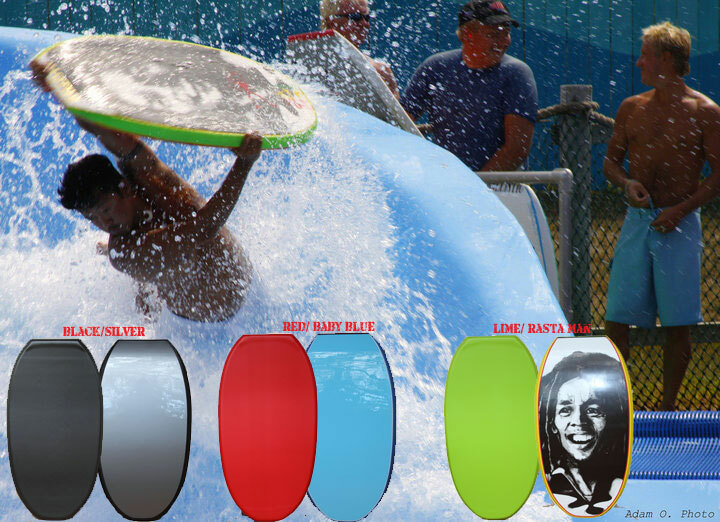 Ballistic Bodyboards use only the highest quality polypropylene – polypro – cores. Stringers = flat back flex stringer in the center with double epoxy carbon fiber stringers for a total of triple stringer. The “triple barrel stringer” system will give you the right memory to spring out of maneuvers quickly into the next one. This will allow you to string a bunch of moves together quickly for rapid combinations. If you need a really flexible board for the barrel we offer a single flex back single stringer. Boards with the triple barrel stringer option are much more durable and better for the retro. Single stringers will not last as long, but will have a lot of flex. We use x-link soft link deck skin or PE traditional deck skins for a softer feel on your body, surlyn slick skins provide the best memory for your bodyboard riding giving you the best performance in the flow rider. Get ballistic at your flow rider water park. Don’t get left behind.